Test of Two War Colors. Exposed June, 1913. 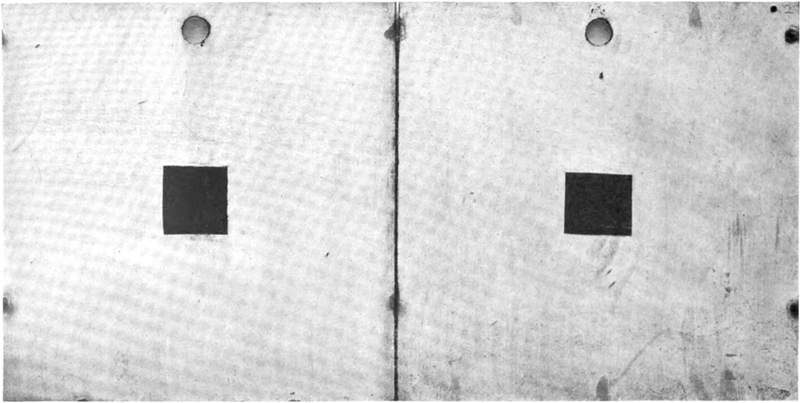 Left: 2d and 3d coats: Blue Lead, Zinc, and Asbestine applied over a Basic Primer (see window). Note: Fading of color shown on each indicates that they should have been tinted with carbon black. Image at page 12, illustrating Henry A. Gardner, Marine Paints. Bulletin 52 (April 1916). Educational Bureau, Scientific Section, Paint Manufacturers’ Assocation of the U.S. Philadelphia Pennsylvania. Some things (Malevich?) might be left unsaid.